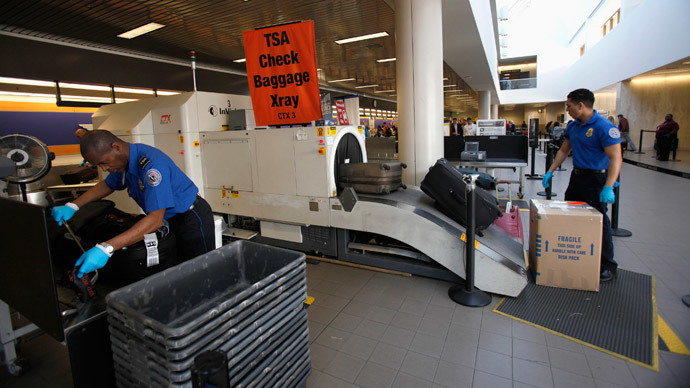 The president of the workers union that represents Transportation Security Administration employees says that armed police should patrol airports across the United States as TSA agents continue to come under attack. 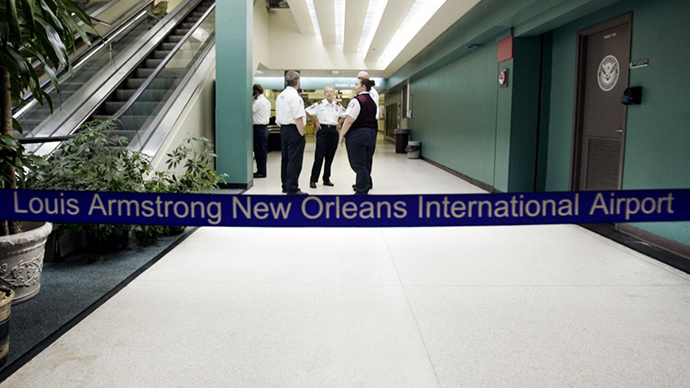 In the wake of anincidentat Louis Armstrong International Airport in New Orleans last week, J. David Cox, the national president of the American Federation of Government Employees, is renewing his call to have armed cops in airports. On Friday, a 63-year-old man stormed a security checkpoint at the airport, waving a machete and discharging wasp killer at agents. TSA agents are not equipped with firearms, but a deputy with the Jefferson Parish Sheriff’s Office who was on the scene fired three times at the man, killing him. "Thank God there was a law enforcement person there and was able to intervene," Cox told USA Today. "It's a real concern. We can't just keep repeating the same incident over and over and over." The security of TSOs and the flying public at checkpoints is a real concern. We can't just keep repeating the same incident over & over. In 2013, an armed man entered Los Angeles International Airport in southern California and opened fire with a rifle, killing a TSA agent and injuring seven others. In the immediate aftermath, Cox told reporters that TSA agents want to have armed security officers present at every checkpoint across the country. Now in the wake of last Friday’s incident, the union president is again advocating for a gun-equipped guard at every TSA station. “The employees that do the screening at all the airports now twice have become the victims and become the targets of people that want to do harm,” Cox told CNN. 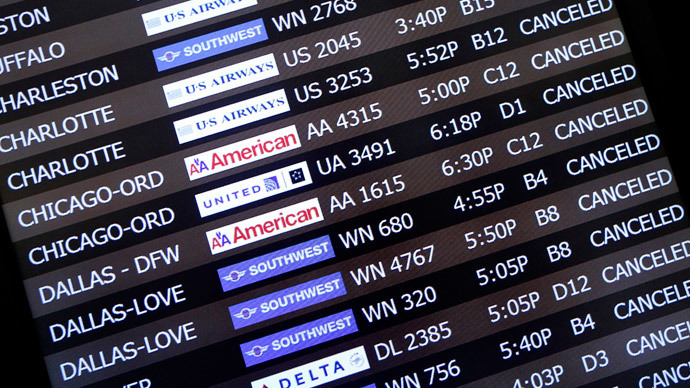 Around 44,000 airport screeners are represented by the AFGE. 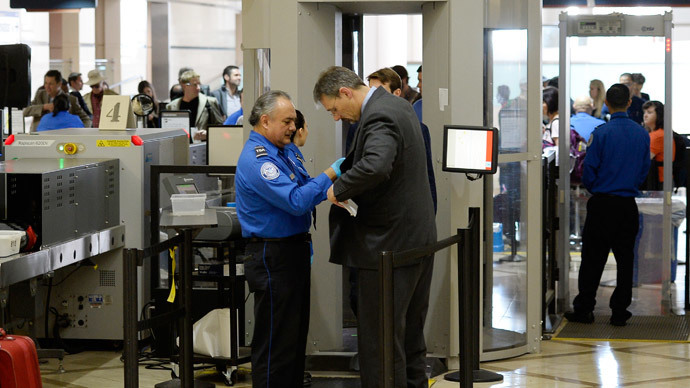 “For years, AFGE has advocated for a new law enforcement unit within TSA, specially trained and armed to respond to such attacks, and for other safety measures at screening checkpoints. We applaud the response of law enforcement officers who ended yesterday’s attack in New Orleans, but many other airports are not prepared to respond as quickly or as effectively,” he said. AFGE has said for years that TSA needs a specially trained and armed unit to help prevent such attacks and protect our TSOs. Cox isn’t asking for TSA agents to be given guns. Rather, he wants to see the agency create a new unit that would serve as an elite police force of officers specially trained for situations such as these. The local cops who do patrol American airports with guns are not under the authority of TSA supervisors, Cox explained to CNN, and an internal assessment of the agency undertaken last year concluded that the LA shooting was made worse by poor communication among agencies. "Only an armed law enforcement unit within TSA can ensure the constant and consistent presence of sufficient law enforcement resources needed in the immediate area of the checkpoints and other key locations in order to prevent another tragedy," he told the LA Times in the wake of the 2013 shooting. According to Cox, however, he faces an uphill battle. Last year, former TSA Administrator John Pistole told Congress that he had “several concerns” with creating a new police force within the agency, and Rep. Michael McCaul (R-Texas), the head of the House Homeland Security Committee, said he agreed. Speaking to USA Today, Cox said that Congress isn’t interested in creating that many new jobs within the TSA. "What they are saying is they don't want more governmental employees for work that is inherently governmental," Cox said. Earlier this year, the TSA announced it made a record number of weapon confiscations in 2014, seizing more than 2,000 firearms. During that same year, the nonprofit Partnership for Public Service ranked the TSA last on its list of the best places to work in the federal government.